Brass and Glass is a self published book to commemorate 165 years of existence of The Boarshurst Silver Band from Greenfield, Saddleworth. Give or take ten years, the band are the same age as photography itself. The project was taken on a Leica MP240 with 35mm Summicron and 50mm Summilux lenses, both the lenses and the camera are partially made of brass. These are some of the black and white, environmental portraits of I created. 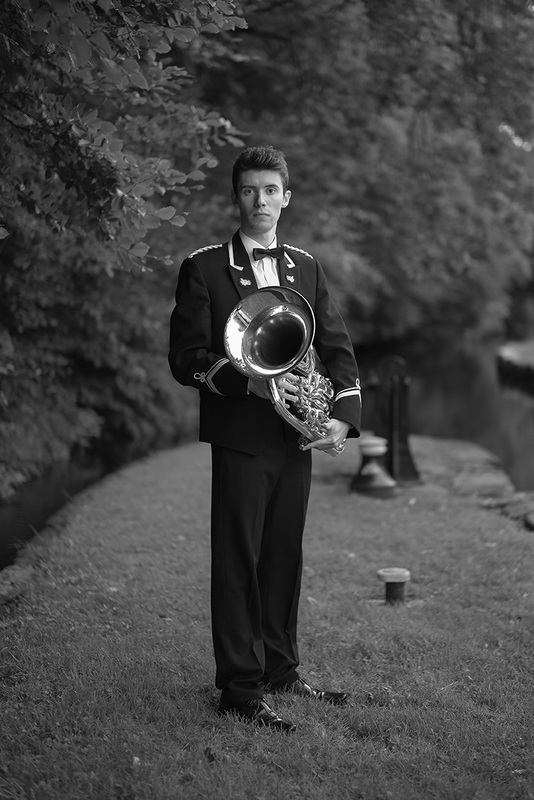 The editorial and documentary style portraits were taken in the bands home village of Greenfield and used locations that were either relevant to the bands history or in the villages areas of natural beauty. The published book also includes documentary, behind the scenes images of the bands 165th Year Anniversary Concert at The Civic Hall in the nearby village, Uppermill, as well as behind the scenes images of the bands Whit Walk in Greenfield and their participation in The Saddleworth Band Contest. I first saw Phil Melia’s photographs about ten years ago. Already a well-established professional photographer with his own studio, he was one of a group of students presenting bodies of work in support of a Master’s degree in photography. I no longer remember anything about most of the other students’ projects. But I remember both of Phil’s series (one about an ancient Italian horse race, the other about a wartime tragedy at sea) like it was last week. Even back then, Phil’s technical proficiency was greater than most of his peers. But what made his photographs so memorable went far beyond that. The pictures were incisive. Phil’s passion for his subjects and his dedication to his craft cut through to the humanity at the heart of both stories. 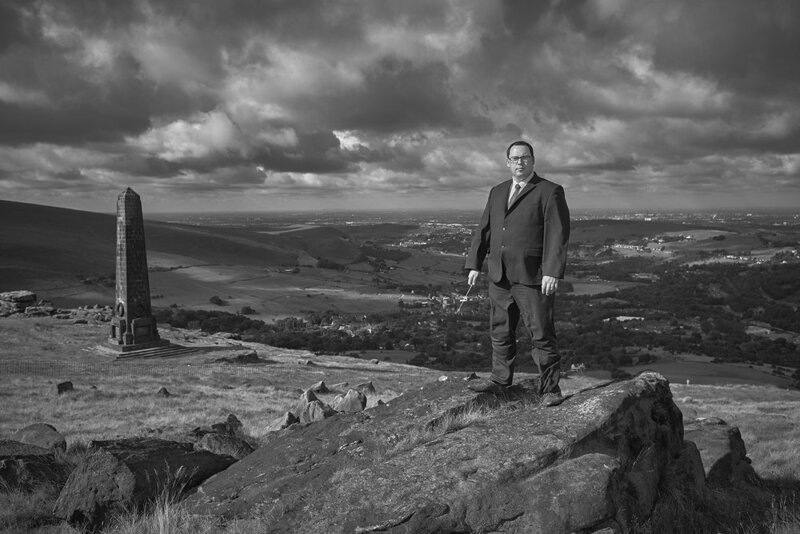 Phil travelled far and wide to complete his Master’s, but he is also aware that the most interesting subjects are often found at home – in his case, in Saddleworth. 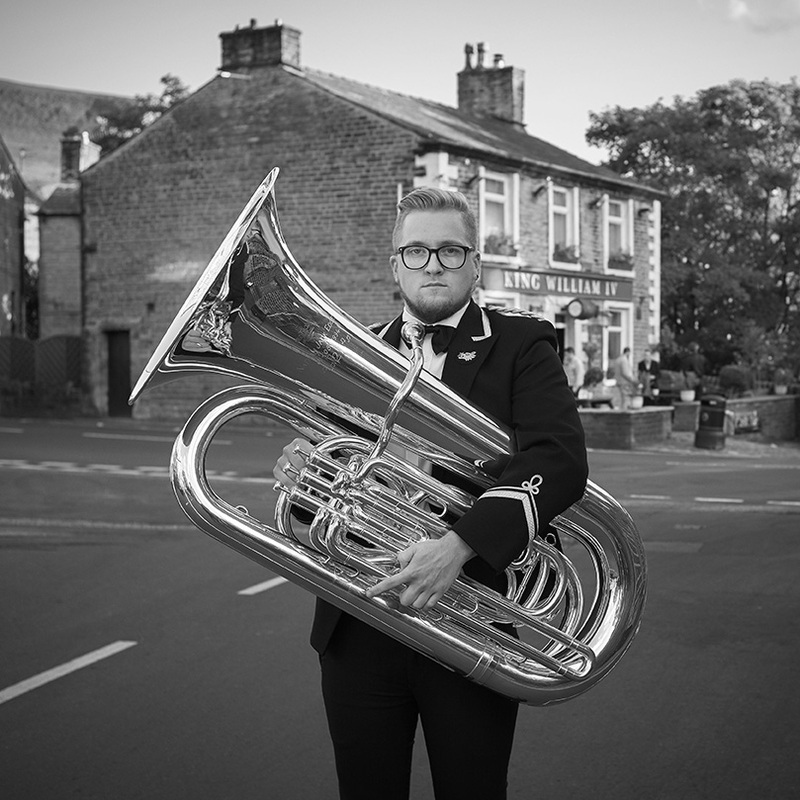 How better to reflect his local community’s industrial heritage than by recording its very echo - its brass band - using photography, thevisual medium of the industrial age? 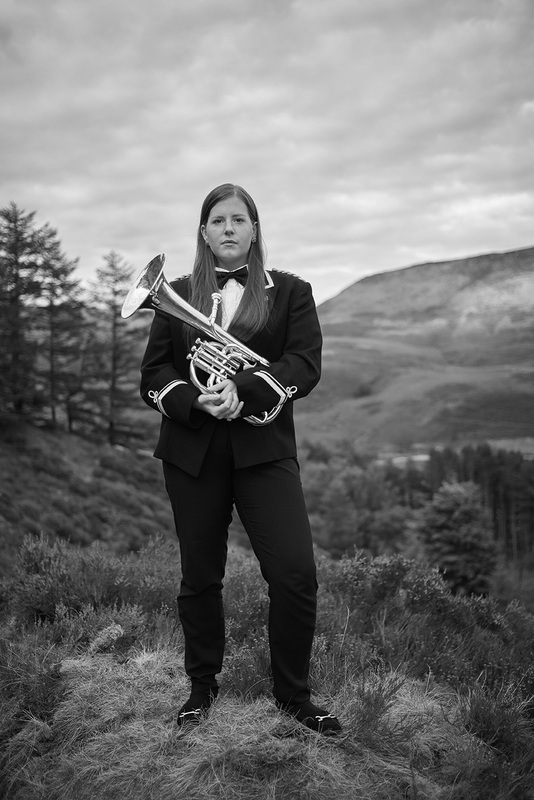 Achieved by systematically photographing the members of the Boarshurst Silver Band using a consistent and rigorous approach, Brass and Glasssits comfortably in the long typological tradition of portraiture pioneered over a century ago by the German photographer August Sander. But I don’t see toomuch of other photographers (Sander or anyone else) in this work. Phil may have made his portraits with a legendary German camera, but they are very much his own. Ten years on, I can’t say I’m surprised at the technical mastery so evident in Brass and Glass. And it’s heartening that Phil still has the dedication to complete challenging personal projects to such a high standard. 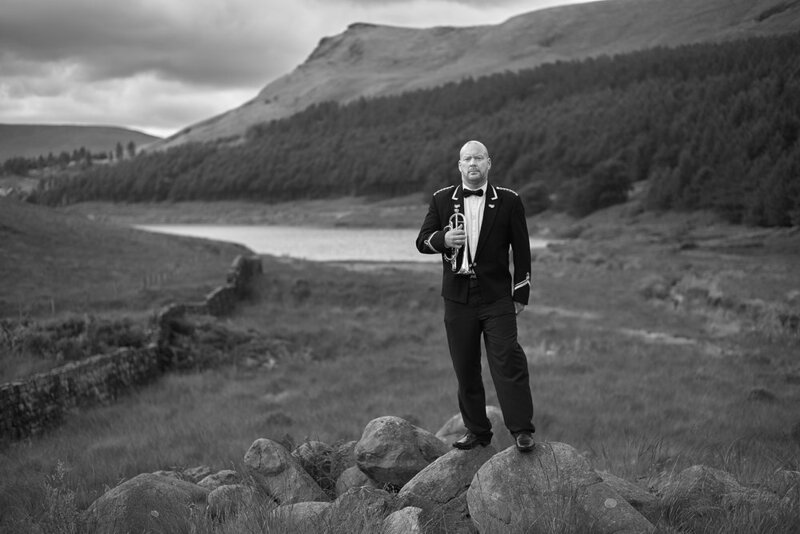 But most inspiring of all is that Phil’s work still resonates with passion: who could fail to be moved by the proud third cornet in front of 1880’s Yeoman Hey Reservoir? Or the resolute tubist outside the Greenfield Cooperative Industrial Society of 1856? Or by the conductor, imperious atop Pots ‘n’ Pans with its 1923 war memorial? These portraits don’t just echo the near-two-century histories of both photography and The Boarshurst. They also bear witness to the ingenuity, toil and sacrifice of the local community.